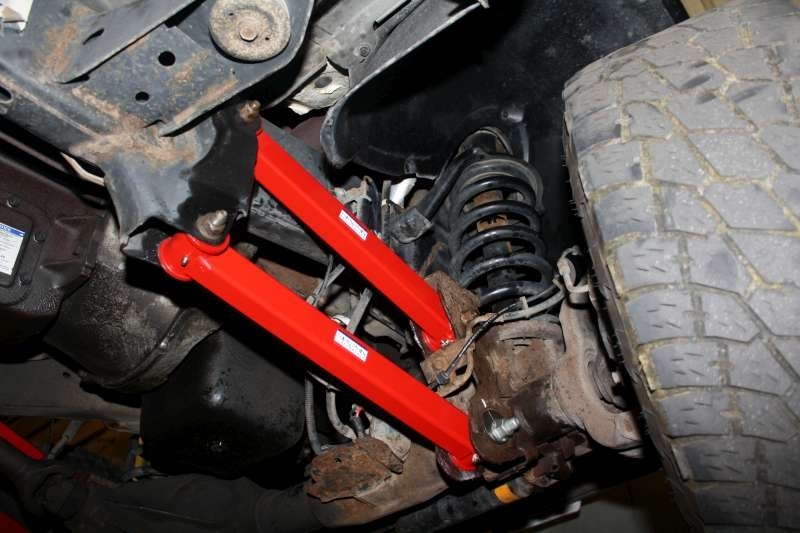 The Spohn Performance boxed front lower control arms for the 2003-2013 Dodge Ram 4x4 outperform the flexible, stamped steel control arms and soft rubber bushings that come from the factory. 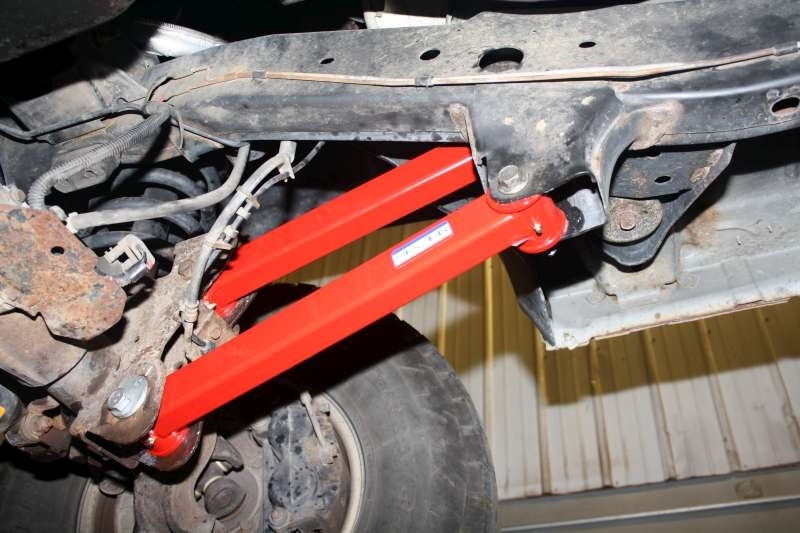 Our boxed front lower control arms are constructed from 2.00" x 1.50" x .120" wall rectangular mild steel tubing, and are 100% TIG welded for the ultimate in strength and appearance. 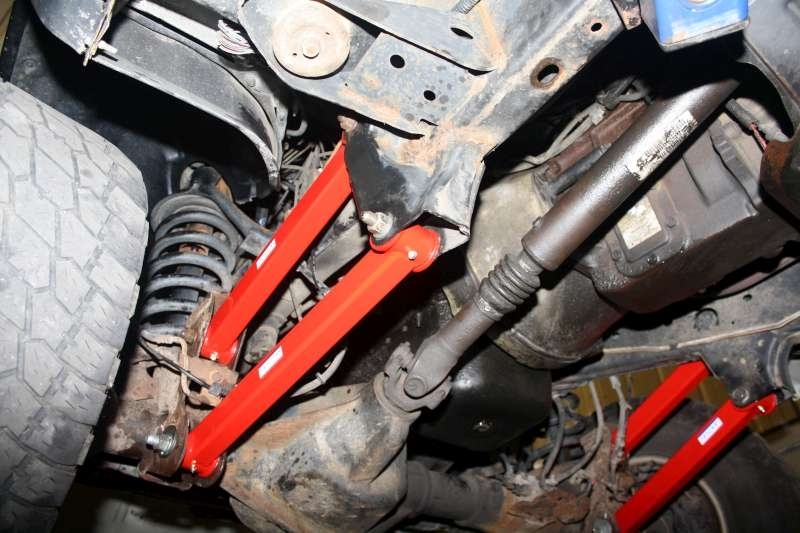 These front lower control arms are built with an offset to provide maximum tire clearance. When running larger tires they can rub against the stock control arms at full steering lock, our offset design eliminates this problem. Front Eccentric Cam Bolts Included: We have yet to put these on a truck that we did not have to cut off the front mounting bolts. Due to the design of the factory's front mounting bolts, water can enter through the side of the bolt causing it to rust fast to the bolt sleeve inside of the factory's front bushing. You have your truck tore apart and then have to take a trip to the Dodge dealer, find and order the bolts you need and then wait a few days for them to come in. 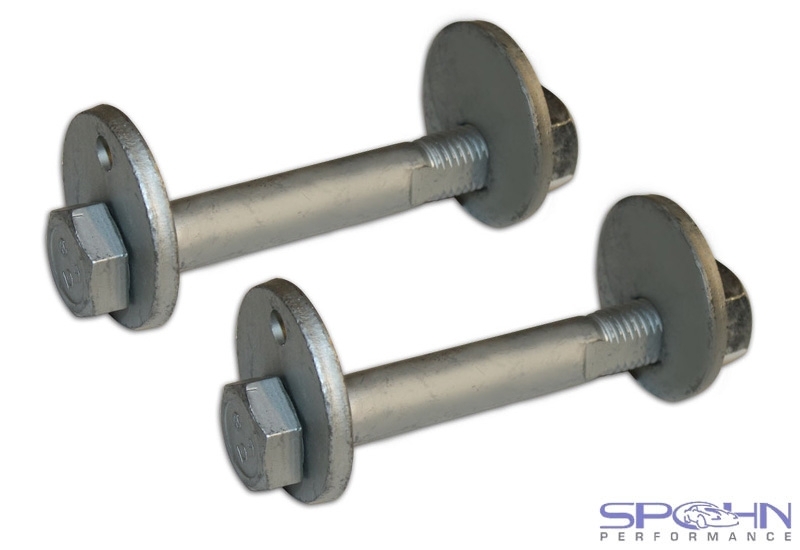 Since we already know you will need new front bolts, this front lower control arm package includes two new factory bolts, two factory cam washers and two new lock nuts (see the picture). Remember that when looking at our price! Vehicle Year & Ride Height: Select your vehicle year and ride height in the option box above. 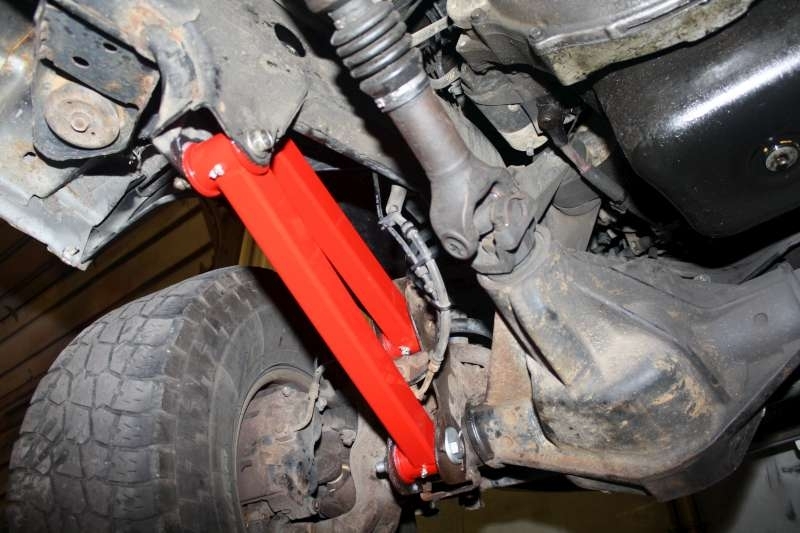 These front lower control arms are available in lengths for stock ride height, 1"-3" lift or 4"-6" lift configurations. 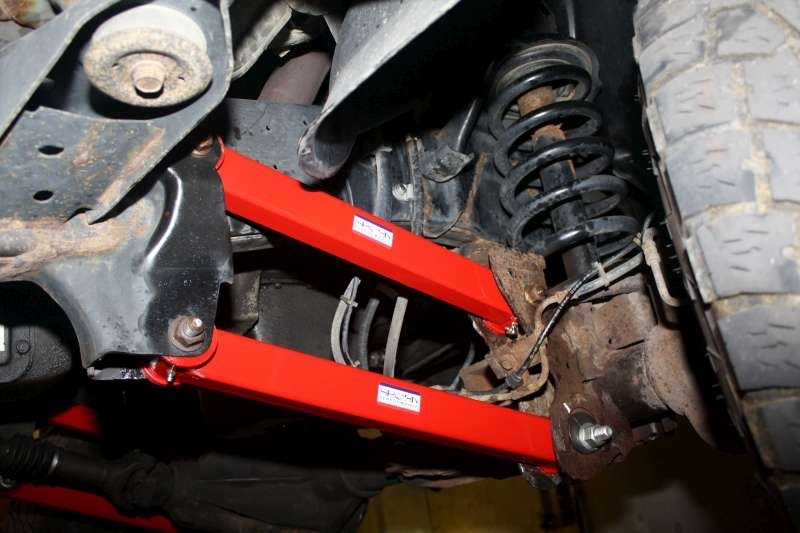 If you choose lifted you must also get matching length front upper control arms.